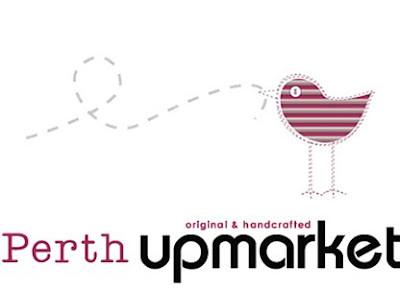 A little about Perth Upmarket. Perth Upmarket brings together Perth's talented artists, designers, stylists, craftspeople and gourmets all under one roof. The product mix is diverse ranging from handmade clothing, cupcakes, wall art, cards, homewares, jewellery to skin care products. 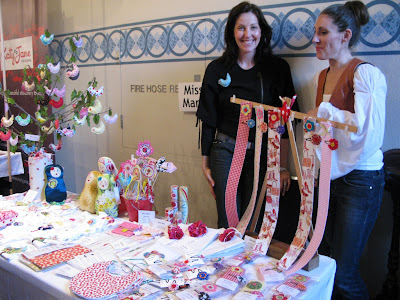 The market will allow Perth shoppers who appreciate the handmade to connect with the talented creators. 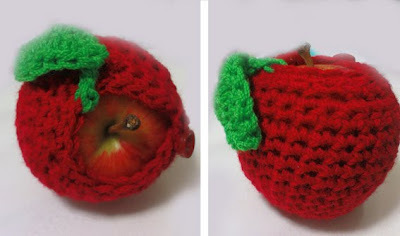 People like me will always be thrilled and excited about these handmade things. 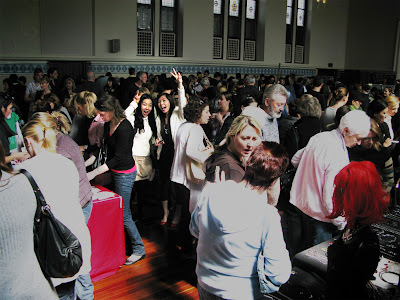 I was so excited when Eileen told me about it and I ended up telling everyone about Perth Upmarket that only held quarterly at Perth Town Hall. hehe. I got there about 10.30 ish and it was packed with people! This popular market is no doubtly awesome. There were 75 retailers selling baby clothings, bags, cupcakes, dog treats, beautifully designed cards, jewelleries and much more! It's great. 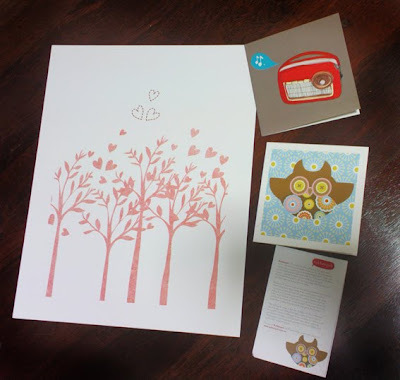 Bo Young and I realised that the designers loves using owl as an icon of everything. In Brooches, decorations, cards, teapot covers and even jewelleries. Owl is too cute. Second thing that caught my eyes was Rubbergob. 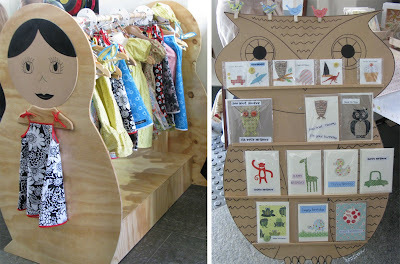 They got lots of excellent designs on cards, book covers and more! Loves their cute designs and colour combination. I bought these for emergency use hehe.. cute rite? Then we all head upstairs for more! Then Kristy and I stopped straight away when we saw Miss Mary. 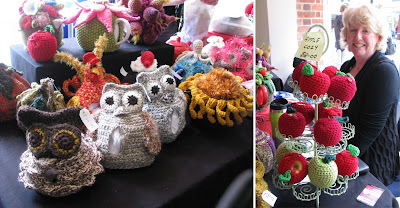 Very cute things they have and the one that caught my attention was the little note saying Sewing Classes & Workshop. This is absolutely awesome! This is good for me. As you all know that I'm a shorty and got odd size body..... okay fat... -_- I will have to alter most of my long pants or probably alter a bit of my nice dresses to fit me better. Second reason is, I, a person who likes doing hands on stuff and as a lousy graphic designer, I like to sew things randomly. So I thought.. maybe I can sew a dress for myself??? That will be fun! Anyone interested to join the sewing class with me?? Last thing that I bought in Perth Upmarket. She is a very lovely and friendly lady and thumbs up for her work. 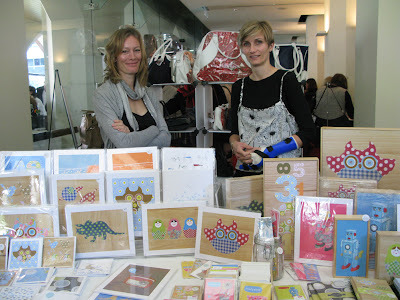 I can't wait for the next Perth Upmarket on Sunday 29th November 2009! Thanks for your comments. Glad you had a great day and your photos look great too. Look forward to seeing you at the next one.